Happy New Year, Döner fans! And, I should add, Happy Australia Day. For it was upon Australia Day that the events of this blog post took place. Let me lay the scene. We had enjoyed the atmosphere in one of Berlin’s premier sports bars near Rosa-Luxemburg-Platz, where we had celebrated the Aussie occasion in style. It came to around 2am and the bar decided to close and throw us out, so we headed into the night in search of kebab meat. We all know that only kebab meat can allay the aching desire in our bellies, Döner fans! Heading down Torstraße through the ice and snow, our eyes alighted upon the refulgent gleam of a neon sign bearing the words Grill und Schlemmerbuffet. We approached with glee. Stepping inside, we were confronted with a wealth of choice and I duly placed my order, indifferent to the fact that nobody else wanted a kebab. I ordered a lahmacun with meat and salad, all smeared with a healthy portion of chilli and garlic sauce. A feast for both body and soul, I’m sure we’d all agree! We plonked ourselves down at a handy table to enjoy the repast, entertaining each other with tales of the evening and witty anecdotes to pass the time. The lahmacun was soft and pleasant on the tongue, and the meat was moist and flavourful. I would relate more, but alas my mind grows hazy as I try to recall the exact details. Suffice to say, the meal was satisfying enough to prolong the evening for a pleasant half hour as we soaked in the atmosphere of the Grill und Schlemmerbuffet, before ploughing on for another few hours in a neighbouring bar. Needless to say, the hero of the hour was the sole Australian in the group who, I am told, was the last to leave the aforementioned bar. A fitting end to Australia Day. Happy Australia Day, Döner fans! Greetings, Döner fans. 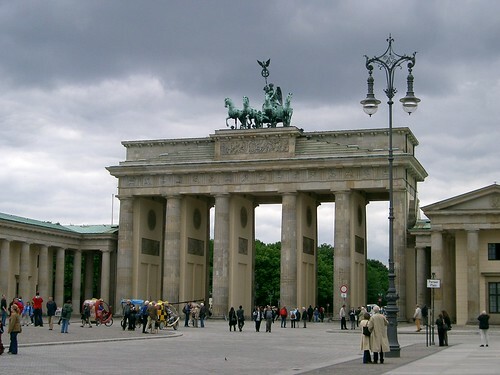 Autumn has arrived in the fair city of Berlin, bringing with it showers, clouds and cold. While we languish in these grey autumnal days, let us reflect on past joyful times, when the weather was warm enough to slouch down to the kebab shop without having to put on a jacket. Let me recount a tale of finer days. 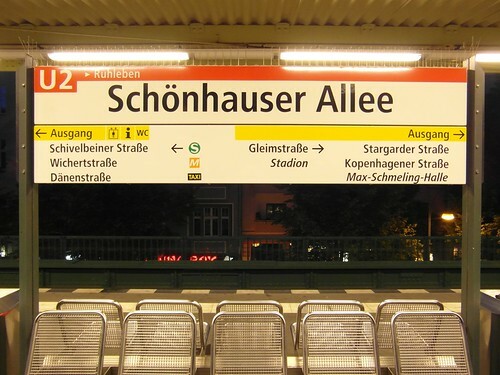 A few weeks ago, on a warm and sultry night, a group of Dutch colleagues and myself saw fit to betake ourselves to the Kebaphaus Ilayda, just north of Schönhauser Allee S-Bahn station. We had spent an enjoyable evening in one of the many fine bars that punctuate the streets nearby. But now we were hungry. I had my reservations about visiting the Kebaphaus Ilayda, since to the best of my knowledge they did not sell chicken döner, and instead sold whole chickens on a stick. But to my delight I saw that this time they had installed a spanking new pillar of rotating chicken-meat, ready for my consumption! I promptly ordered a lahmacun with chicken and salad, and a tea. 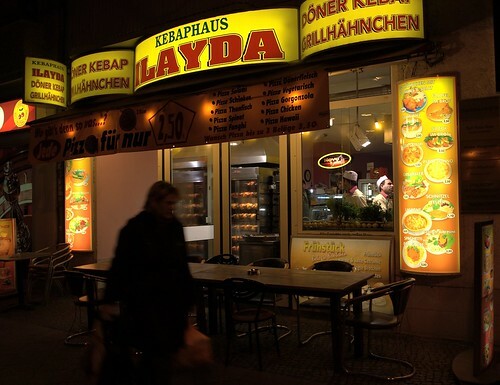 We sat in the bright and slightly gaudy lights of the Kebaphaus Ilayda and laughed away the evening. It was an experience marred only by the presence of a large, drunk German man who from time to time approached us at a stagger, ogled certain of my Dutch colleagues, and then shambled off about his business. He did this more than once. If I hadn’t had a slab of precious lahmacun in my hand, I would no doubt have sent him brusquely on his way. But, alas, my mouth was full of chicken. While I enjoyed the kebab very much at the time, I have to say that later on that evening and the following day I was not feeling at my best. In fact I felt decidedly ill. I do not want to cast aspersions on the hygiene standards at Ilayda, and indeed I have eaten there without mishap a number of times before. My illness could easily have been due to many things. I merely mention it in passing, and the reader may treat this information as he or she pleases. Below, the results. Hello, döner fans. Last Friday evening I was out and about with some work friends in Kreuzberg, after watching the England-Sweden game. The night was pulling us in two directions: did we go for a quiet drink somewhere in the area, or did we push on further and go to Club der Visionäre? One thing was for certain, though: we needed a kebab. The first place to present itself was the Mısır Çarşısı on Skalitzer Straße, next to U-Bahn station Kottbusser Tor – a famous location for fast-food joints and cheap snacks. Girding my loins, I went inside. Mısır Çarşısı is Turkish for ‘Egyptian Market’, named after the famous covered bazaar of the same name in Istanbul. Istanbul’s Egyptian Market is a thriving place of hustle and bustle where you can buy all sorts of exciting and colourful things, from luxurious Turkish pashminas to sachets of sweet-smelling spices. Similarly, the Mısır Çarşısı kebab shop on Skalitzer Straße is also a lively sort of place, but by contrast all you can buy is fast food. I ordered a Lahmacun (Turkish pizza) with döner-meat and salad, and the sauces were garlic and chilli. This particular establishment proudly makes all its Turkish pizza fresh on site, and the end result is indeed very tasty. I got a colleague to photograph a juicy-looking cross-section of the kebab while we waited on the platform for the U-Bahn.